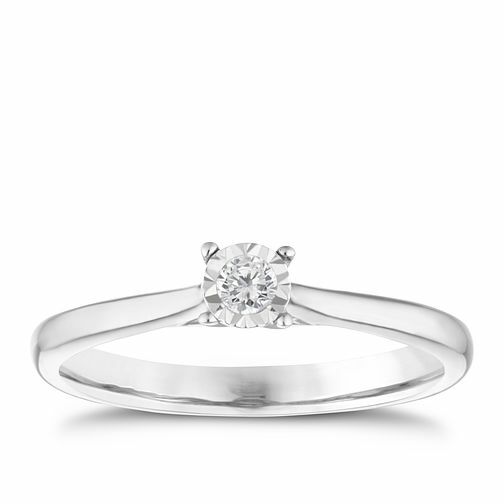 Ask the question in elegant style, with this simply beautiful, delicately designed diamond solitaire ring. Set on a dainty 9ct white gold band, this diamond illusion solitaire dances as it catches the light. 9ct white gold diamond illusion set solitaire ring is rated 5.0 out of 5 by 6. Rated 5 out of 5 by Anonymous from Sparkle Great quality, lovely looking minimal ring, my Fiancé loves it too!